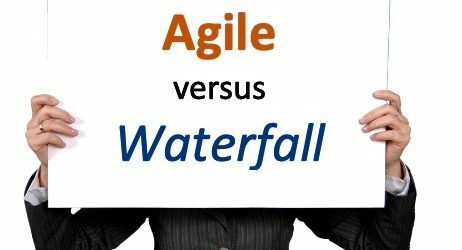 Agile versus waterfall: Is there a silver bullet? As the principal partner of Solutia SDO, Jackie Clark has had a direct role in managing the people behind the technology that’s transformed businesses across Canada. When IT projects stall, this seasoned leader, who’s had a front seat watching tech transform business in Canada, knows how to manage people to get projects running again. This bi-weekly column is for leaders working on enterprise-wide projects searching for insight on navigating the issues and pain points that hijack success. We’ll be sharing the most common questions Clark hears from her clients and her responses to them. Do you want your project management problems solved? Leave a comment with your question or Tweet Jackie @sdosolutia. I recently worked on an agile project that didn’t go well. In fact, we ended up reverting back to waterfall to save it. I thought this methodology was supposed to be the answer to all our prayers. What’s going wrong? I had a similar experience on a past project. Agile was promoted within the company as “the way we do things now” so the IT department got on the bandwagon. Problem was the rest of the organization wasn’t on the same wagon. Thinking back, not one of my best meetings. There are a few more important concepts that need to be introduced, co-location and code pairing to name a few. Taken all together the agile project will be off to a good start! Program and change management expert in digital and data transformation, and technology system reengineering. To scrum or not to scrum? How project managers are changing.